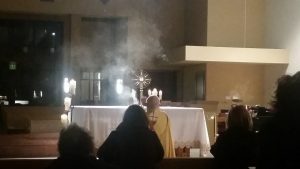 Holy Hour is an opportunity for people in Kenosha to encounter Christ through Eucharistic Adoration and Sacred Music. Now and then, Holy Hour will include the Sacrament of Reconciliation with Guest Speakers. We call this event BEHOLD. Holy Hour is perfect for strengthening and deepening your connection with God.